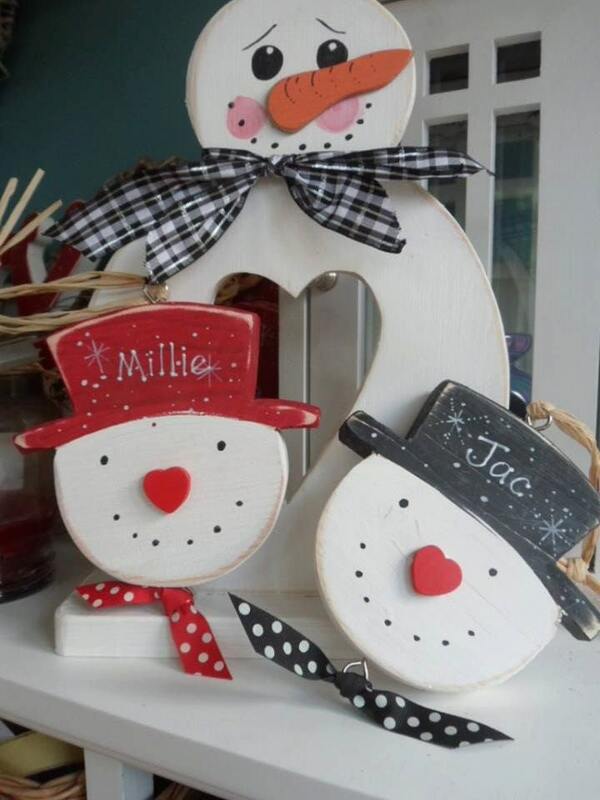 Welcome to our snowmen range. 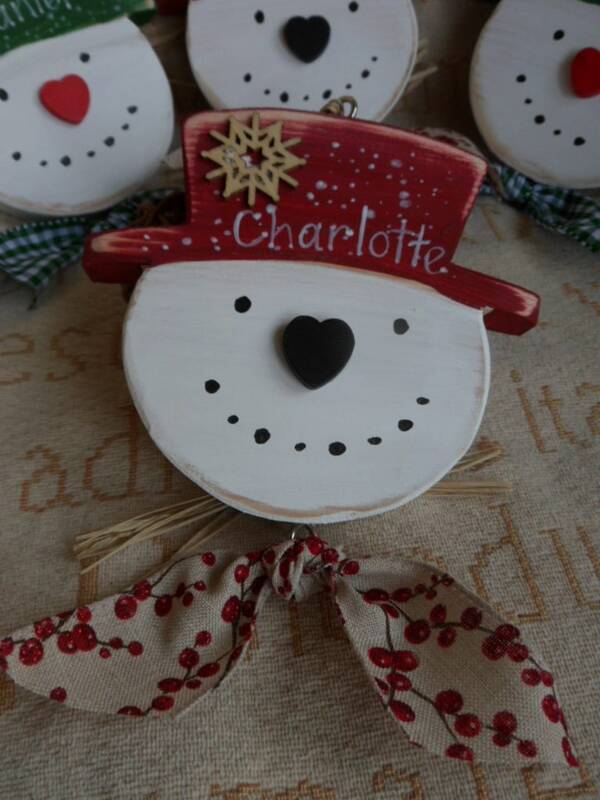 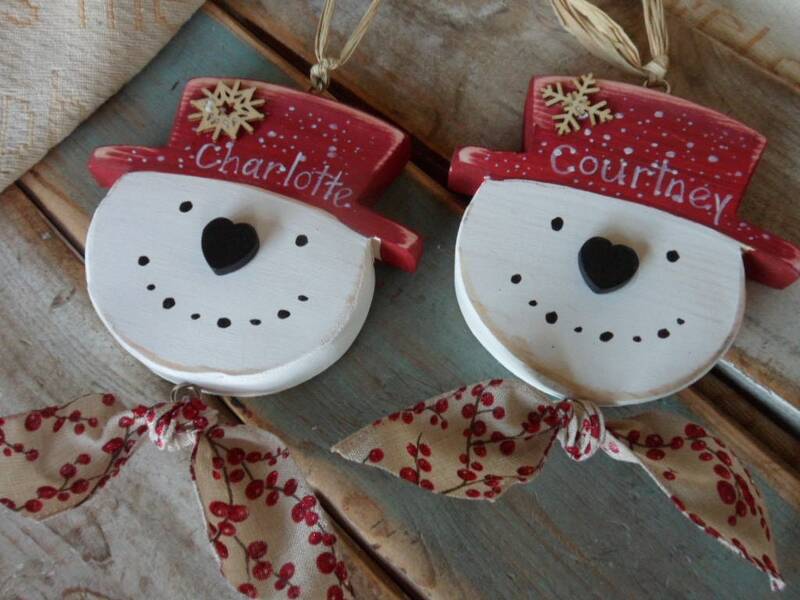 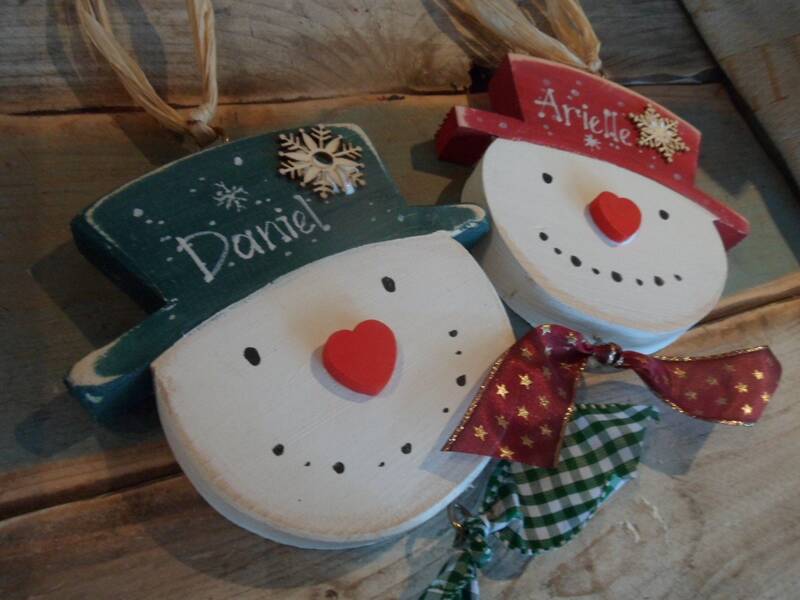 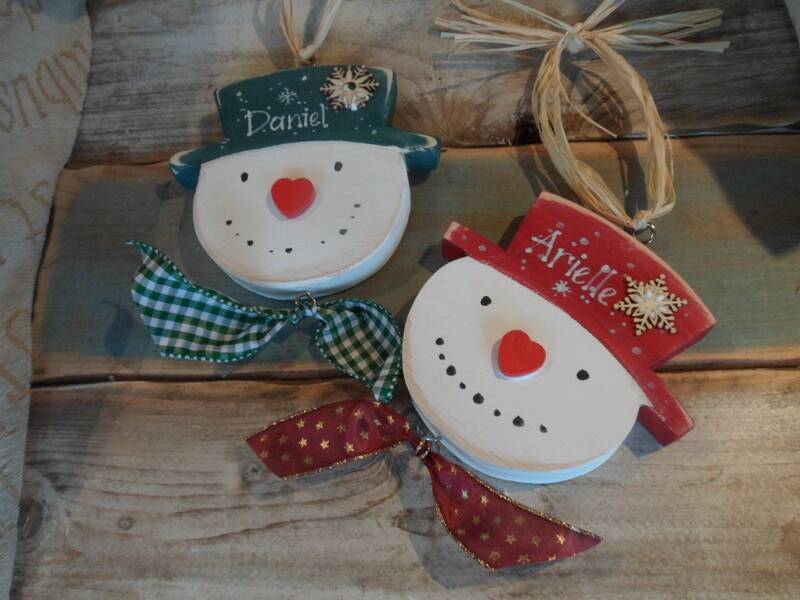 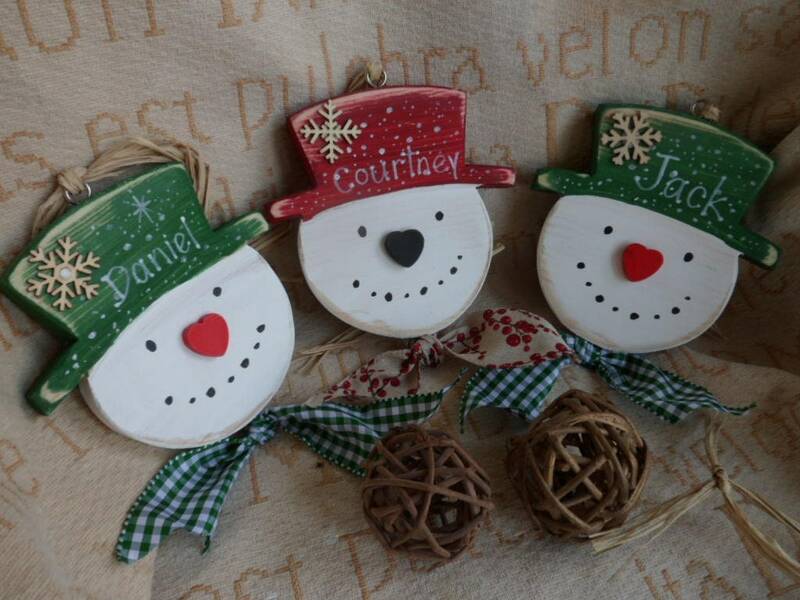 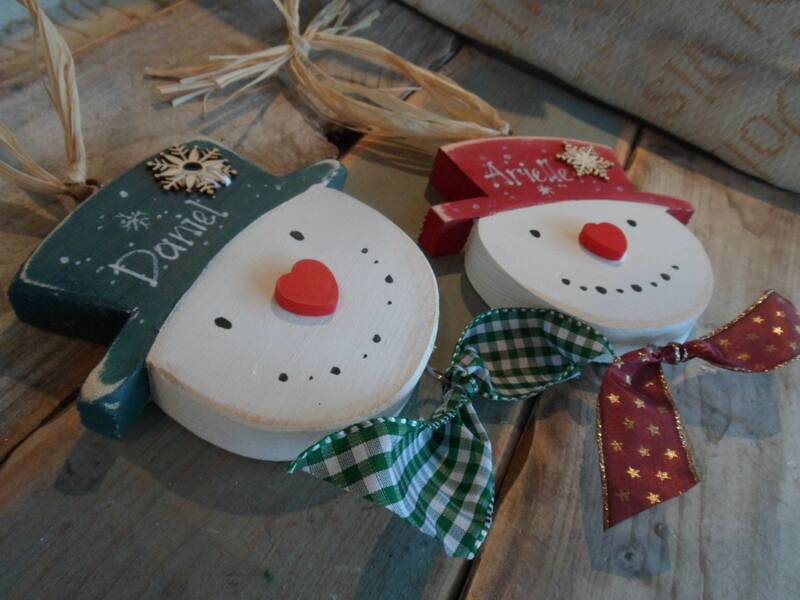 These delightful snowmen heads hang beautifully on your trees with ribbon and raffia..
Hand cut and hand painted in 3 different colours, red, green and black and with little hearts for noses they are further personalised with your names on the hats. 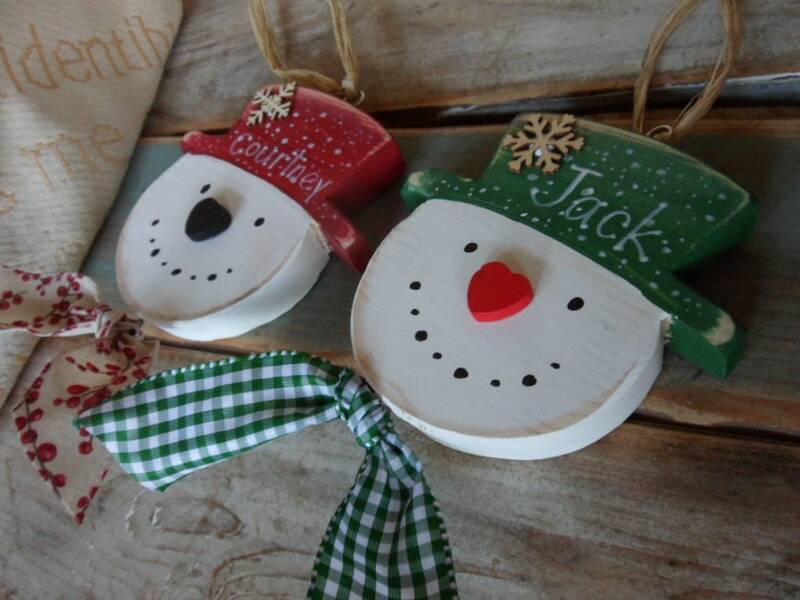 Great items, very well made, quick delivery. 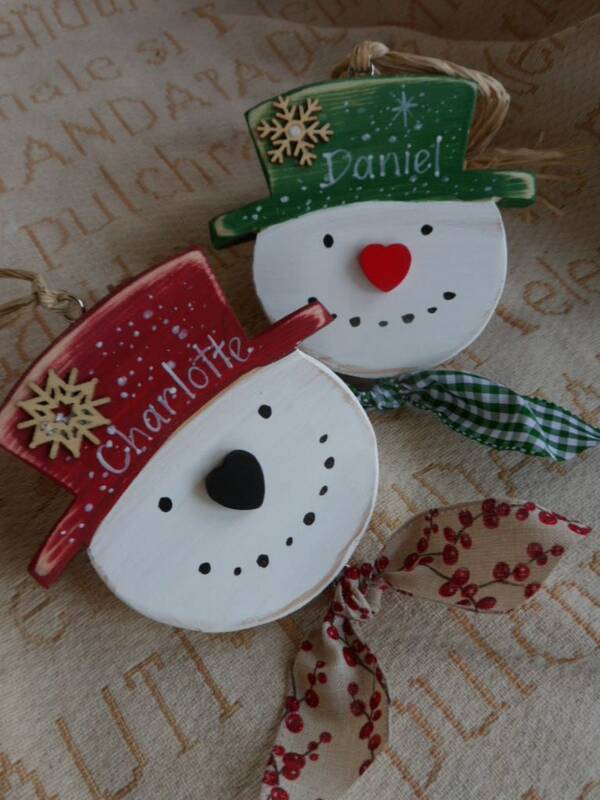 Very happy with them. 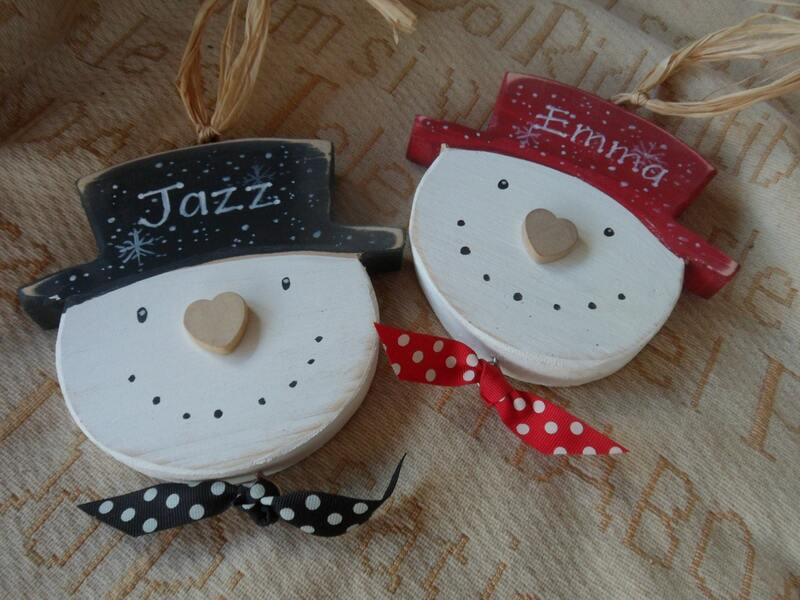 Absolutely love these, well made with quick delivery, thank you.